The decision of the Russian Central Bank to raise interest rates this week from 10.5% to 17% smacked of desperation. Attempting to shore up the collapsing ruble actually had the inverse effect. The markets took it as a sign of loss of confidence and the currency went into freefall, losing as much as 19% in a day as panic swept Russia’s financial markets. The ruble sank to a record low of 80 per dollar before rebounding to 68. The speed of the collapse reveals how the Government of President Vladimir Putin has lost control of the Russian economy, which faces a double whammy from western economic sanctions and the plummeting price of oil. Even without sanctions, Russia would be facing a crisis. Last year, oil and gas represented about 68% of Russia’s total exports of US$530 billion. Being so reliant on these commodities leaves the nation at the mercy of oil prices, which have fallen to US$60 a barrel. By way of comparison, the diversity of the US economy makes it far more resilient. Falling oil prices have also hit the US, but oil and petroleum products make up just 8% of US exports, mitigating the effects. Stephen F. Jones, a Professor of Russian Studies at Mount Holyoke College, said the precipitous decline in oil prices had exposed the shortcomings of the Russian economic model. “Putin struck it lucky as President of Russia in the 2000s when the price of oil and gas kept rising and economic growth was around 7% a year. Between 1999 and 2008, Russia’s real income increased tenfold and Putin took a lot of the credit, although it was all down to the rising cost of oil that reached US$147 a barrel in 2008. The problem today is that the Russian economy is still suffering from ‘Dutch disease’, meaning the over-dependency on one commodity,” he said. Jones says countries that are heavily dependent on oil can take measures to safeguard themselves against price falls. One way is to build up the rest of the economy using the glut of oil money. Russia has not been far-sighted enough to do that. A second measure is to build up foreign currency reserves to create a “rainy day” fund. Russia chose the second solution and built up a healthy stockpile of currency reserves. However, the economy is in such a dire state that it is spending the money at an unprecedented rate. At the start of 2014, there were around US$445 billion foreign of currency reserves. However, the Government has spent about a fifth of that sum propping up the rouble. By the end of November, the total was closer to US$360 billion and falling fast. None of this would be quite so catastrophic if Russia’s economy was less top-heavy, but huge corporations dominate. “It’s a far more vertically oriented economy than most European economies, and the US. Other western countries have monopolies, too, but they are much more dependent on small businesses for employment and GDP growth. The Russian system does not encourage small businesses. In Russia, a company like Gazprom is like an enormous octopus, with tentacles everywhere, including the TV industry and food distribution. Putin calls companies like Gazprom, Rosneft and Transneft Russia’s ‘national champions’, but the truth is they are too dominant,” he said. 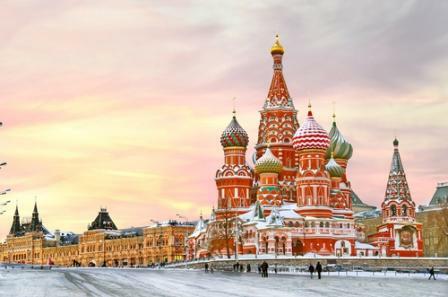 A further problem for the Russian economy is endemic corruption in the Russian Government and judiciary, which discourages investment by undermining the protection of property rights and the enforcement of contracts. Even before the Russian invasion of Crimea, Russian stocks were trading at a 50% discount to other emerging markets. Invading Ukraine compounded Russia’s economic predicament. The sanctions imposed after the annexation of Crimea blocked all investment in the country’s oil and defence companies. The sanctions also prevent Russia’s oil prospectors from gaining access to exploration, production and refinery services. The invasion also makes severe demands on the Russian economy when it can ill afford them, according to Professor Jones. “As former US secretary of state Colin Powell said, ‘once you invade a country you own it’. Crimea is a bit different, but Eastern Ukraine is facing real humanitarian issues in terms of lack of supplies and heating. There are many depressing mining and steel towns. How will Russia sustain it, or rebuild it? It’s an enormous drain on their limited financial resources,” he said. The sanctions have also caused Russia to lose bargaining power on the international stage. In theory, Russia can turn eastwards to China and Japan as alternative buyers for oil and gas, but in the present climate China is able to strike a hard bargain. “Two major deals to supply oil and gas were done with China in 2014 but on each occasion China got a very good deal because they knew all about Russia’s poor diplomatic and trading position in the West,” Jones said. Jones says that only massive structural reforms can save the Russian economy from long-term decline given that oil prices are highly unlikely to bounce back above US$100 a barrel. He advocates taking steps to end large monopolies and reinvesting in different sectors of the economy. The latter option, attempted under the previous president, Dmitry Medvedev, who wanted to modernize the Russian economy by creating the Skolkovo Innovation Centre as a rival to Silicon Valley. However, it has failed to get off the ground. Meanwhile, it is hard to imagine a politician emerging to challenge Putin and the corrupt elite. The activist Alexei Navalny, who led many of the street protests that shook Moscow in 2011-12, might have had the popular appeal to mount a challenge. Now, he is unable to use a telephone and the internet, and he may not leave the confines of his flat. “The signs are clear that Russia is heading for recession and it seems unlikely that the political system will turn itself around. Power does not challenge itself. Russia has to decentralize politically and give people at the middle and lower levels the authority to change the economy. But Putin will not do it. Having said that, few of us predicted the collapse of the Soviet Union and unlikely things do happen. It is possible that an economic crisis could see the end of Putin. He was given credit for the rise in the Russian economy and he could be blamed for its collapse,” said Professor Jones.